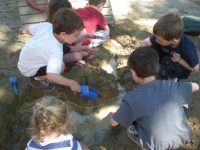 Temple Shalom Nursery School, serving children as young as 1 yr 6 months up to 5 yrs of age, is the first school in Massachusetts to achieve Nature Explore certification. Throughout their journey, they have been guided and inspired by the help of Tobey Eugenio, consultant for Heritage Museums in Sandwich MA. Using existing structures, children’s natural predilections, rhythms and natural boundaries of the space, clear areas were delineated in the outdoor classroom. Additional structures and items were added to provide inspiration for further play and exploration. Each area was labeled with a clear simple key action word specific to the area. Open structures and see through lattice was used to maintain lines of sight between all areas at all times. 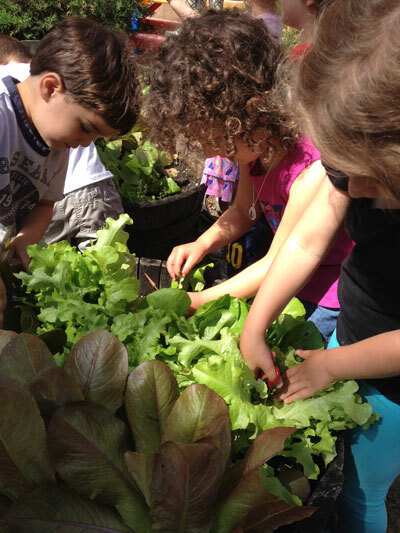 Children aid in caring for and tending all the plants (both visual and edible) in each garden. In addition to edible plants, the children have a flower garden for sitting, investigating and relaxing. There is also a small 4X4 flower and herb garden which is also an outdoor dollhouse. The children use dinosaurs, dolls and wooden faeries to play in this space. In the Art and Build areas, native rocks, bark, tree logs and a host of other natural materials were used. New and reclaimed locally sourced wood was purchased for many of the structures. This wood was weather treated with a beeswax based natural weather sealant. Weather tight photo-labeled storage bins were also used to protect materials. Sturdy recycled kitchen materials are used for digging and mud play. Simple wooden structures and plain, colored fabrics can be seen throughout the playground for visual clarity and an appealing monochromatic color scheme. The colors of fabric echo the colors of plantings. When needed, existing items were painted to maintain visual unity, while natural materials, such as wood were left to gray and keep their natural appearance, providing a calm and organic feel to the scenery. The playground was designed to serve the needs and gravitations of students. When children were seen gravitating toward areas of the playground for rest, those areas were made into gardens with a quiet bench added in the shade. 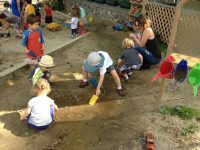 As the children became more fascinated with mud play and pretended to ‘bake’ outdoors, a mud kitchen was created and filled with open-ended materials to enhance and inspire future exploration. 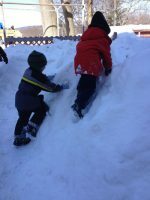 When children began making larger structures in the Messy/Build Area, additional supports were added to the structure for sturdiness and safety. Whenever possible, native materials were used. Rocks were gathered at local beaches by the children, staff and families. 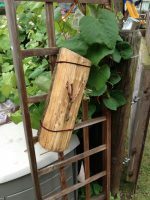 Wood and logs are donated by local homeowners and horticultural organizations. Green City Growers and the Massachusetts Agricultural Society were consulted on organic farming practices and growing items such as cranberries, kale, tomatoes, and strawberries. A Three Sisters Garden, which ties into the Native American (Wampanoag) curriculum, was included in the space and several other flower gardens provide decorations for the Jewish Holiday curriculum and to celebrate holidays and ceremonies. 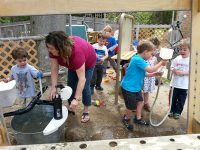 Throughout the transition process, the families of Temple Shalom Nursery School have been very supportive as they were educated on the mission and guiding principles of the Nature Explore program. Annual enhancement fund donations and fund-raising money has been used to purchase needed supplies including; weather proofed fabrics, plants, soil, water pump, and many other items. Parents volunteered to build many items, including the Build stage, the Perform Area stage, raised beds, mud kitchen, Art area storage wall and wood burned signs to mark all the areas. Parents also joined gardening committees, designing and planting the gardens. 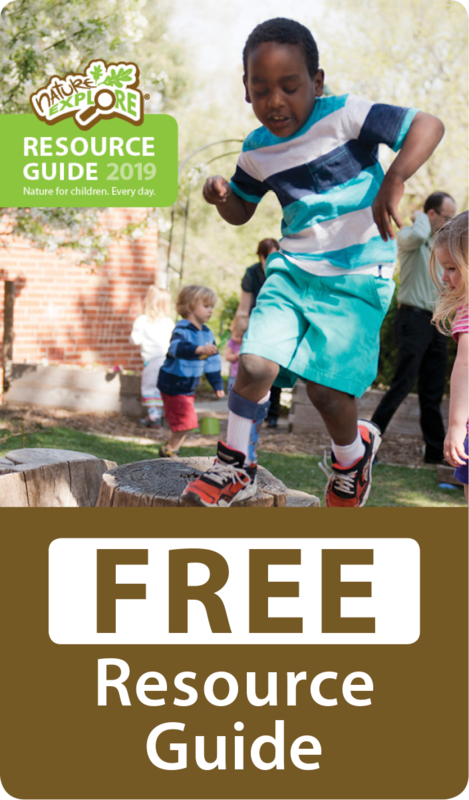 Volunteer and informational opportunities constantly exist for parents and families to participate in the ever growing, ever-evolving journey of the outdoor classroom.